Within Teamwork Projects, you can edit the name of your projects in a number of ways. In the Projects area of your site, select the List tab. 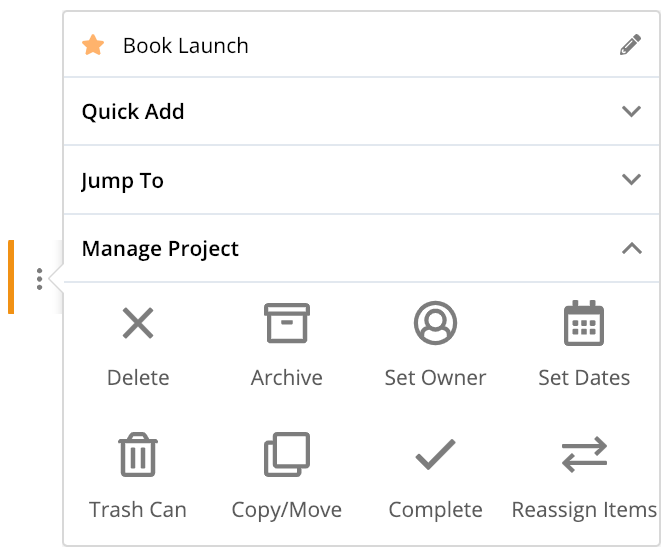 Click the options button (three dots) to the left of the project in the list and select the edit pencil to the right of the project name. In the edit project modal, you can then update the project name. You can also edit the project name in the project chart tab of the Projects area. As in the list area, hover over the name of the project to reveal the options menu. Select the edit pencil at the top of the menu, to the right of the project name. 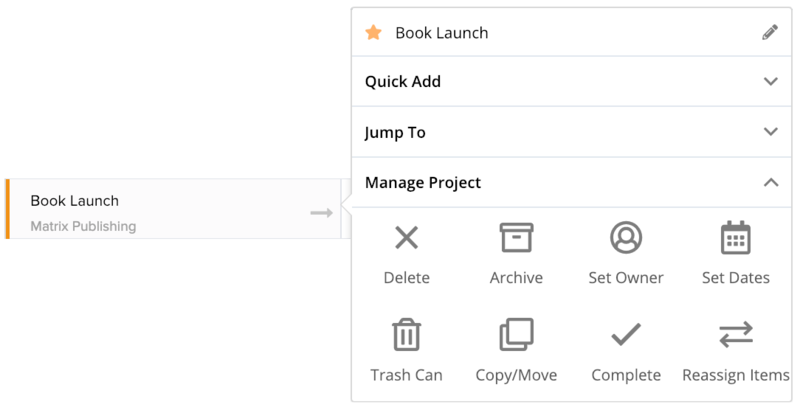 When viewing an individual project, you will also see the edit pencil option when you hover over the project name in the top left of the project area. The project name can also be updated via the project's general settings. Note: Only project administrators and above have permission to update the name of a project.